Digital transformation (DX) is being reinvented. Today, more organizations than ever have a DX strategy and plan an in place. However, there is a growing divide between organizations who are “all-in” with DX, and those who are just “going through the motions”. The organizations that are “all-in” demonstrate a willingness to embrace the necessary organizational, technological and financial decisions to digitally transform their organizations. These are the “digitally determined”. What do leaders need to know (and do), to take their organizations from being digitally distraught to being digitally determined? Today’s landscape has called upon a business imperative for NTUC Income (Income) to transform its business digitally so as to future-proof itself. As Singapore’s leading digital insurer, Income’s impetus for innovation and digitisation has always been customer-centricity, and constantly challenging themselves to ideate insurance propositions that play to the way customers access, engage and use information digitally. Our Race to Reinvent x Digital Transformation shall share Income’s journey towards digital determination and what we learned along the way. In an ideal scenario in regards to data, information is pulled from everywhere, integrated with everything, and connected to everyone who matters and makes decisions. But most organizations are unable to accomplish this because data exists in different applications, in different formats, across geographies and users. What are the roadblocks in connecting disparate parts of a business together into a seamless whole? How can technology and process innovation fundamentally change the way a company does business by removing data bottlenecks? What is the importance of real-time data to the agility and responsiveness of a business? Since 2007, IDC has covered the continuing evolution of the 3rd platform and the impact it has had on the IT industry. We started in the era of Experimentation, then moved into the era of Multiplied Innovation. In 2023, we will move into the third chapter—the era of Autonomy, where robotics, blockchain, self-learning machines, and autonomous and accurate predictive decision making will become pervasive. [Table A1] AI: What Will You Do with Yours? Every organization needs to revamp now and then. These days, though, reinvention is necessary just to survive. Whether your company is 10 or 100 years old, you can’t afford to sit still as even the digital disruptors are being disrupted. Rapid technological advances, the rise of smart devices, ubiquitous connectivity and demographic shifts are rewriting the rules of engagement and fundamentally changing work as we know it. Defining the right mission that is supported by a clear roadmap aligns stakeholders and inspires the organization. This becomes the reference point where stakeholders can contribute to innovations that signal the next phase of their digital adventure. Technology is reshaping industries as it brings down the walls between suppliers, producers, consumers, and even across industries themselves. As the lines dividing industries are redrawn, organizations need to lay out the foundations and be prepared to ride out these tectonic shifts. It’s time to consider how some manufacturing concepts can be used outside of manufacturing. In Asia/Pacific, organizations tend to focus on short-term successes. While some organizations have identified the need to develop an enterprise-wide DX strategy supported by a clear roadmap, many others are embarking on their journeys without a holistic DX strategy. Digital transformation is changing the way we work – within our teams, between our teams – and the way we interact with and are perceived by customers. In this experiential learning workshop, delegates will go on interactive journey, learning the importance of juggling the customer experience with revenue generation, the need to breakdown silos, and how to build lasting, productive relationships to drive results. As industries - and the global economy - rapidly realign and consolidate around digital innovation, CIOs must race to reinvent their organizations for the fast-paced 'multiplied innovation' world. This means reinventing IT around a distributed cloud infrastructure, public cloud software stacks, agile and cloud-native app development and deployment, AI as the new user interface and new, pervasive approaches to security and trust at scale. Digital Transformation (DX) is not just about deploying new systems or modernizing IT — it’s also about changing the business. Organizations are looking for ways to unlock operational efficiencies, generate revenue streams and drive DX initiatives to create a connected business. With effective data management, business users can interact with the data and applications they need to work effectively. Now freed from limitations, organizations can deliver results for customers as quickly, easily and effectively as possible. Using several case studies, we take a closer look at the qualitative benefits experienced by organizations who adopt Integration to close their DX gap — realizing cost savings, increased organizational speed and a broad mix of soft benefits. Along with future trends for a connected business, such as Blockchain and IOT. Technology leaders are facing increasing pressure to keep cost down and maintain a consistent infrastructure while integrating innovations and driving IT organizational transformation at the forefront of DX. How can CIOs find ways to transform and adapt IT operations to enable a DX strategy that creates competitive advantage? Smart cities are, by definition, focused on using emerging and innovative technologies, for enhanced societal and improved quality of life benefits. The successful implementation of Smart City projects will depend on a greater understanding of the interplay between the different ecosystems impacted directly and indirectly by the investments. From security to sustainability, through innovation and technology, tools such as digital twins can be a powerful aid to decision making and urban planning. The drive to link and leverage diverse data streams will be a key factor in nurturing and maintaining the new metropolis. The digital industrial enterprise is connected, tracked, automated and integrated – delivering extreme efficiency while at the same time personalization to the customer. Digital transformation to industry 4.0 for industrial companies across manufacturing, mining, oil and gas and utilities means building capabilities across technology, processes and people that enable interconnected insight across the value chain, ecosystem and supply chain.  A single enterprise strategy, resoluteness towards change, long term investments and a single platform for scale are some of the key parts of every CIO’s digital determination playbook. But when it comes to implementing digital determination, no two playbooks are the exactly the same. Discover what your peers have in their arsenal as they race to reinvent their work, operations and culture. At CIO Summit 2019, the Executive Networking Table (ENT) format provides invaluable experience for speakers and delegates. The ENTs allow delegates to have in-depth discussions with the experts leading the discussions and their peers taking part in the conference. The ENTs involve small group discussions around a specific set of topics, hosted by an industry leader who will provide the business perspective, and a technology expert who will provide a perspective with references from the industry. During registration, please select your preferred focus area / ENT journey based on your job title, responsibility or area of interest. Within your selected journey, there will be two rounds of discussions. 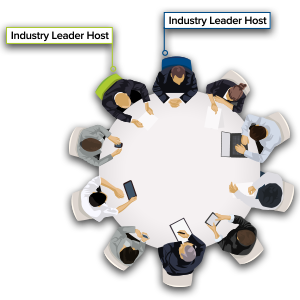 Each journey has 2 tables; each table seats 8 – 10 delegates, plus an industry and technology leader. The leaders moderate a discussion on the table topic for 45 minutes. When 45 minutes are up, the table hosts will go to the next table in their journey for another 45-minute discussion with a new group of delegates. Digital transformation is changing the way we work – within our teams, between our teams – and the way we interact with and are perceived by customers. In this experiential learning workshop, delegates will go on interactive journey, learning the importance of juggling the customer experience with revenue generation, the need to breakdown silos, and how to build lasting, productive relationships to drive results. **Kindly note that registration for the Executive Workshop is on a first-come-first-serve basis. Registration will close once all slots have been filled.